There are certain names that have become synonymous with great cigars and Oliva is one of them. The Oliva family has been growing tobacco since the 19th century and has been at the forefront of the premium cigar market for the last 50 years. It was Melanio Oliva who first began growing tobacco in Cuba in 1886, but the industry changed drastically in the early 60’s when the trade embargo with Cuba came into effect. Gilberto Oliva, the grandson of Melanio, would travel extensively to find the distinct Cuban taste of tobacco that the family knew so well. These travels would end in Nicaragua, where Oliva has become the second largest grower of Cuban-seed tobacco. The modern day Oliva cigars are produced by the Oliva Cigar Co. 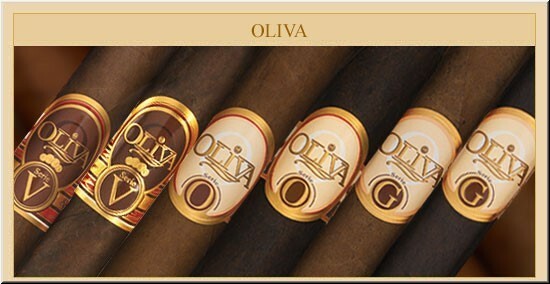 These Oliva cigars were first produced in 1995 when Gilberto and his son, Gilberto Jr., launched a new brand of cigars. The brand, which originally started as Gilberto Oliva, was soon shortened to Oliva. The cigar market saw countless start-ups in the 1990s, but Oliva cigars would outlast the majority of its peers and has been expanding over the last decade. In 2005 there were 6 million Oliva cigars being produced in a year. Amazingly enough, that had grown to nearly 13 million Oliva cigars by 2009. This success can be attributed to their fine tobacco and the introduction of their flagship cigar, the Oliva Serie V, in 2006. The Oliva Serie V has become not only the premiere cigar produced by Oliva but one of the most sought-after cigars in the world. It was named one of the best cigars of 2008 by Cigar Aficionado magazine, which helped increase the demand for Oliva cigars over the last five years. The Oliva Serie V uses a complex blend of Nicaraguan long filler tobaccos. The wrapper is a Habano sun-grown wrapper which helps contribute to its full-bodied taste and smooth finish. There is a subtle spiciness present in the cigar that has become well-known within the Oliva Nicaraguan tobacco. Oliva now employs over 350 rollers at their production facility and even produces cigars for other companies under contract. Although Oliva cigars did not see immediate success upon their introduction in the mid-90s, they have become incredibly successful after the turn of the century. The Oliva family is well-known amongst cigar enthusiasts and many of their recent introductions have become some of the most sought-after cigars in the market.